Day 29 already!! I can't believe how fast the 30 days has gone. I feel like I have to apologize for the photography on this. It gets dark now so darn early. It's dark when I leave and it's dark when I get home lol. Hard for me to get a good picture without some natural lighting. 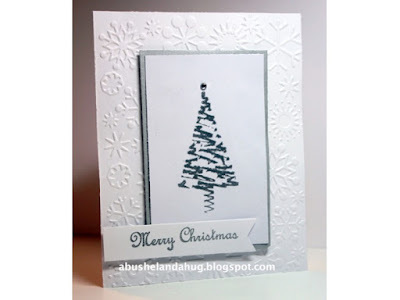 This card was made by first embossing the background with a cricut embossing folder. 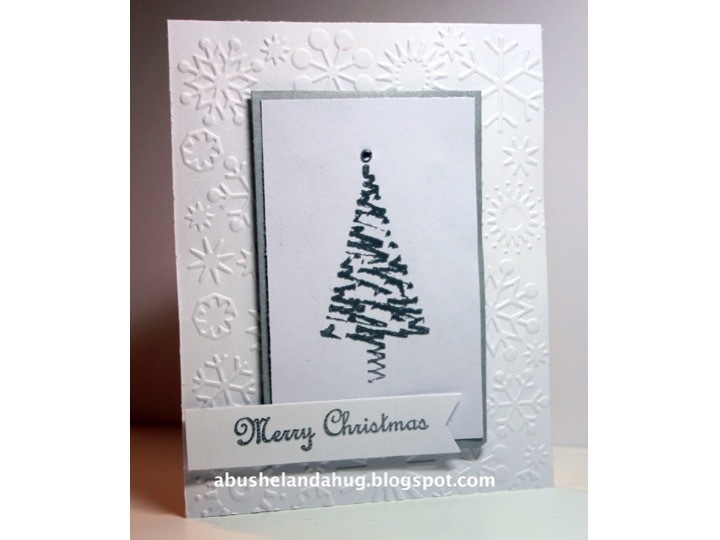 Next I stamped one of the images from Trees Set of 6. I embossed it with silver embossing powder. I matted the stamped image with some silver card stock and then I attached it to some craft foam before attaching it to the card front. For the sentiment I stamped Merry Christmas and cut out the sentiment in a tag shape using my scissors. Thanks for checking out my card. I hope your day is amazing!! !